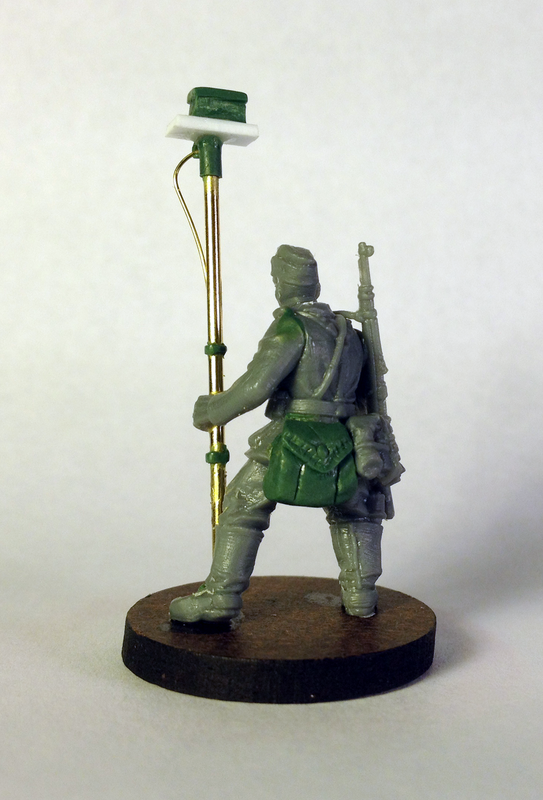 Last week I picked up the excellent Warlord games Pioneer kit based on the new plastic Blitzkreig kit. These are a vast improvement over the previous plastic set. The metal parts that allow you to make interesting pioneer models as well are excellent. 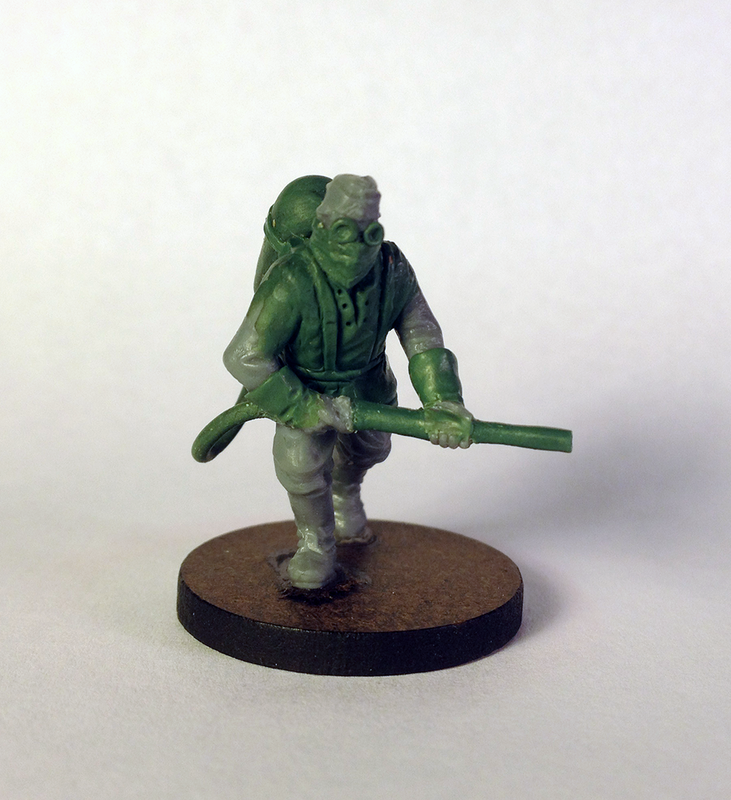 These include more equipment on their backpacks, some new heads, and additional and more characterful weapon options. These guys are the latest addition to my force for the Adepticon team tournament which I am participating in with John at Plastic Legions. 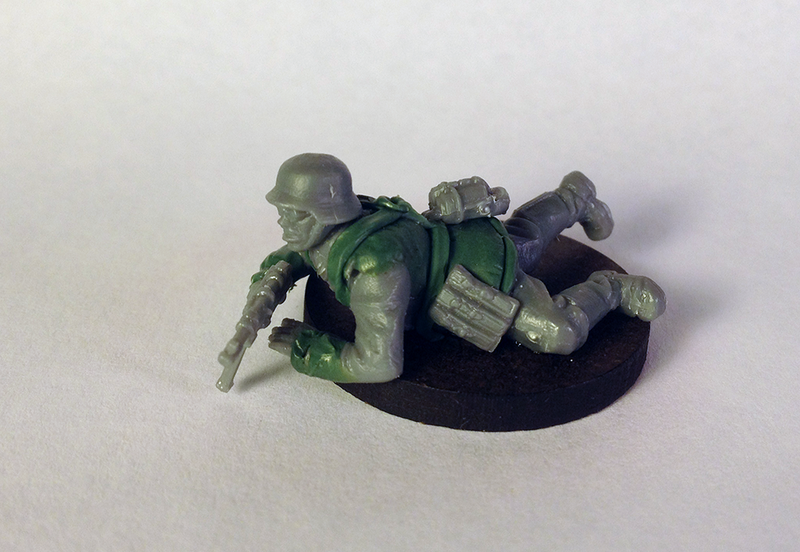 I wanted to update the look of some of these guys to give the unit a bit more of a mid-war period look, with camo smocks, and helmet covers. Three of the models which I modified are shown here to give you an idea what I have been up to. I don’t know too much about the ‘pole explosives’ which some pioneers used blow up hard to reach places. Some photo reference shows that it is essentially a box on a stick. I added some wiring to give an impression how a pioneer may set the explosive off after put into position. This is largely my design, I’ve not found any examples of these sorts of triggers on these things, but I get the impression that they are sort of ad-hoc, so they may come in all shapes and configurations. 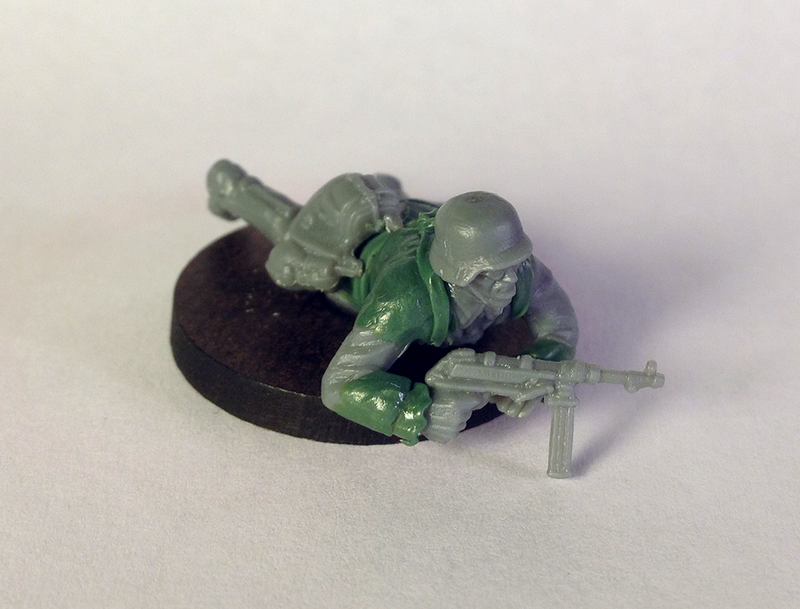 This guy may be a NCO, or simply a trooper with an SMG. 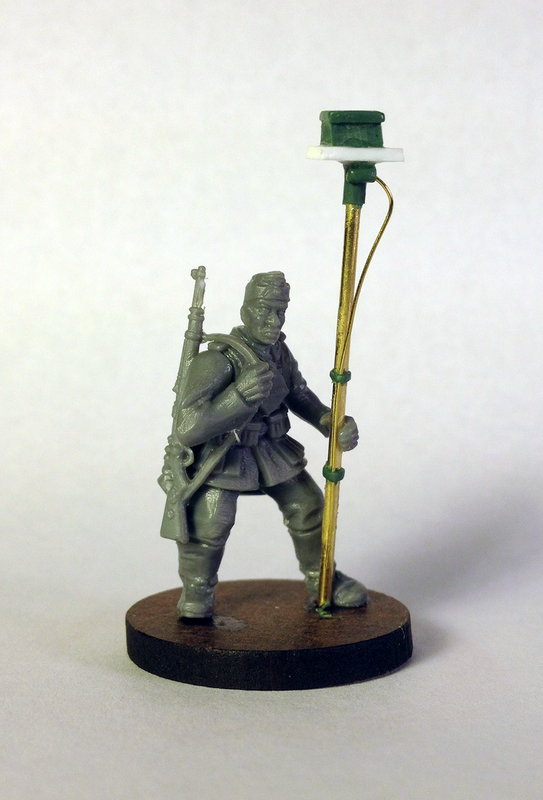 He has the camo smock that the Panzergrenadier units were occasionally given, especially as the war went on. Last but certainly not least is the flamethrower! I also took some liberties with the design of this figure’s modifications as well. 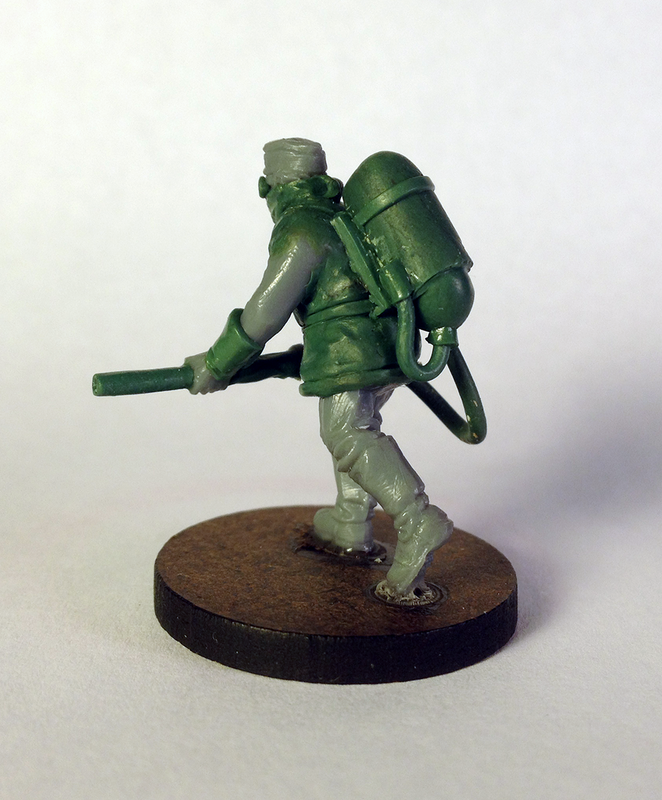 Its only somewhat modeled after the flamethrower which comes with the pioneer kit. I made some changes which suited me when modeling this. Now I can run two units with flamethrowers which should be pretty sweet in upcoming games! Flamethrowers are always sweet. Everyone knows this.